Kwayatsut Smoothie Project Featured at “How to Save a Life” Event. This summer, the Mount Peasant Food Network (MPNH) launched a pilot program to serve smoothies to folks waiting in line at the Mount Pleasant Food Hub. Spearheaded by Jolene and the incredible volunteers from Kwayatsut (a VNHS Housing building in Mount Pleasant), this pilot has been a resounding success that we’ll be continuing into the fall/winter. We’re very proud to share the story of a recent event called “How to Save a Life,” hosted at the Mount Pleasant Neighbourhood House, that focused on the real impact the overdose crisis is having on people in the city, and prominently showcased the peer-support work being done by the volunteers of our Smoothie Project. Content advisory: This good-news story describes the experiences of people on the front lines of the fentanyl overdose crisis. More than 50 people gathered at Mount Pleasant Neighbourhood House on October 11 to hear first-hand accounts from five storytellers whose lives are deeply touched by the fentanyl overdose crisis. Behind the scenes, volunteers from the Kwayatsut Community Engagement group provided hospitality. for those who came to came to listen and learn, as well as the survivors and front-line responders who shared their stories. Many members of the group have similar experiences of displacement and addiction, and have lost loved ones to overdose. 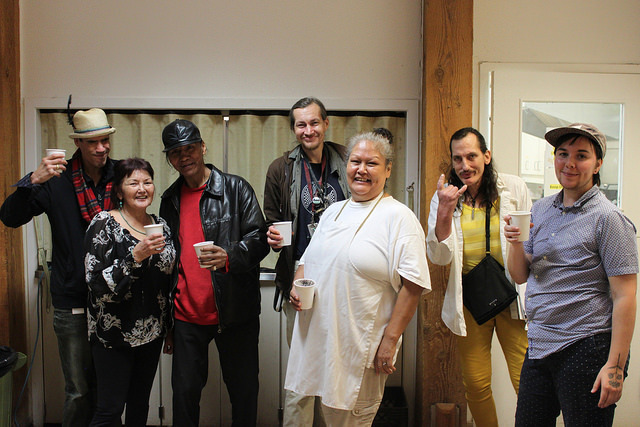 Most have been gathering at our House every Monday for several years, along with Jolene Andrew—the Aboriginal Community Developer here at MPNH. With harvest season well and fully underway, we figured it was as good a time as any to take some inspiration from our garden’s bounty. After a collaborative design process that involved feedback from dozens of Food Network members and incredible work by graphic designer Brendon Ip, we finally have a new logo!!! Our design features an ripe, beautiful blueberry (indigenous to B.C.) and design features that emulate the Mount Pleasant clock. My process for designing a logo, brand or identity always begins the same way. I begin by taking the description of what the vision for the product is supposed to be and researching other logos of like-minded and similar organizations, networks or groups. This led me to survey the great diversity and style of the numerous logos of the other community food networks. While any illustrator always strives to be fluid with their design process, personal style tends to always find a way to incorporate itself in a design. Through my years of design and illustration, I found my passion in using bold vectors, shadows and negative space to create depth in a simple yet stylish illustration. As a logo is not only an image but a brand and identity, I felt that the image I was tasked with making was to be simple but representative of the Mount Pleasant community. As such, my thoughts immediate jumped to the iconic clock found by Main and Kingsway as a source of inspiration. With the main idea in place, I had to find a simple shape to construct the body of the logo. With the input of the Mount Pleasant Food Network Group, we sorted through potential ideas of tomatoes, beets, blackberries, figs and finally landed on a native species, the blueberry. 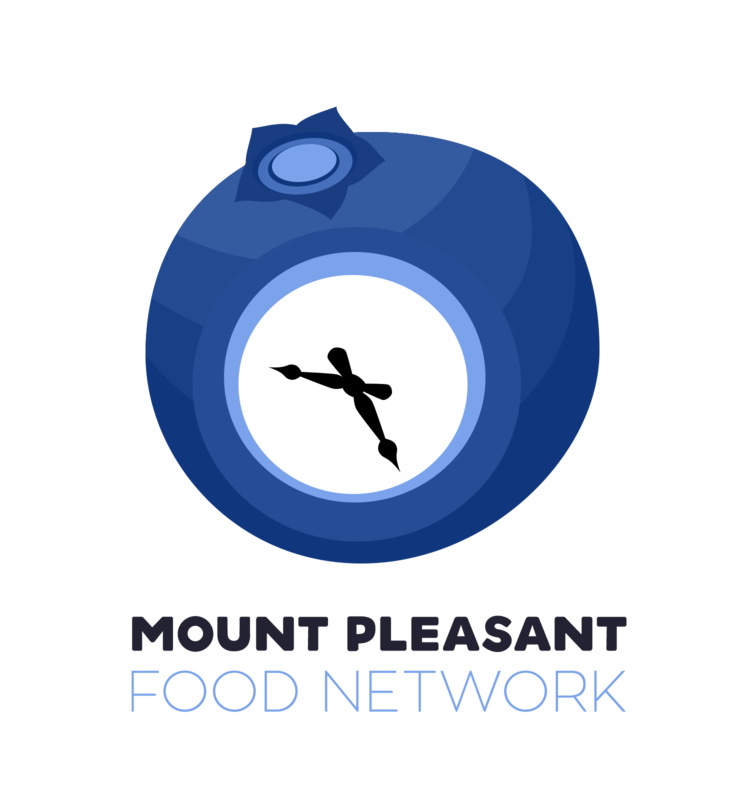 With the core idea in place, I set off to design a simple logo that would accurately depict the fruit while merging it with the concept of the Mount Pleasant clock. During the design process, I strived to create a shape that was multi-functional, easily applicable in different formats whether it be: text, sticker, poster or online-use. I decided to use a minimalist design to ensure that the clock-face was recognizable but not overpowering and different shades of blue to illustrate depth in the spherical shape so as not to take away from the main concept of the logo. After a few small adjustments on fine details, colours and size, we landed on the final product. Huge credit to Brendon for the amazing work, and a big thanks to all of the Network participants who provided feedback on the design. If you’d like to stay posted on all the latest MPFN news or become a member of the network, click here to sign up for our mailing list. Summer Celebration at QA Garden! Come celebrate International Day of the World’s Indigenous Peoples at the Queen Alexandra Garden! The Right to Education is this year’s International Day theme. What better way to learn than by getting your hands in the soil and sharing good food with your neighbours? Garden Co-Coordinator Ida Manuel is leading a Native Plant Walk at the start of the event. Afterwards, everyone will come together to harvest, prepare and enjoy a healthy salad and snacks. Ida will serve fresh blackberry & lemon balm ice tea with ingredients from the garden! Throughout the event, you’re welcome to pick and snack on berries, and participate in the seed swap. There will be arugula and kale seeds lovingly saved from this garden, and a mix of other awesome veggie seeds provided by Village Vancouver. This is a kid and family-friendly event, all ages are welcome! 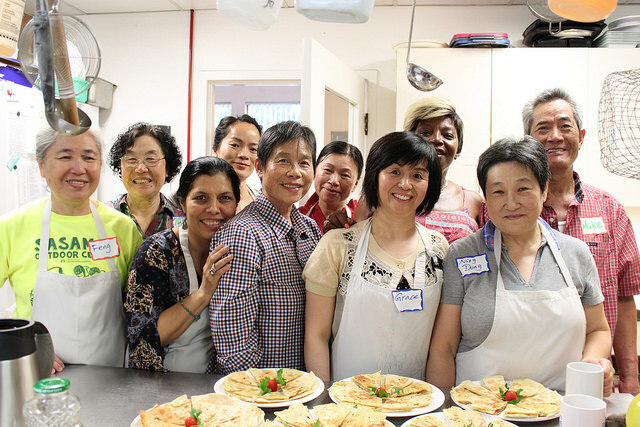 RSVP through our Facebook event, or contact Joey at jliu@mpnh.org. Share with your friends!